Imagine yourself walking down a beautiful stone path through the serenity of the woods. At the end of the trail is the majestic Thorncrown Chapel. The doors open, the music begins to play, a moment you will remember the rest of your life has begun. 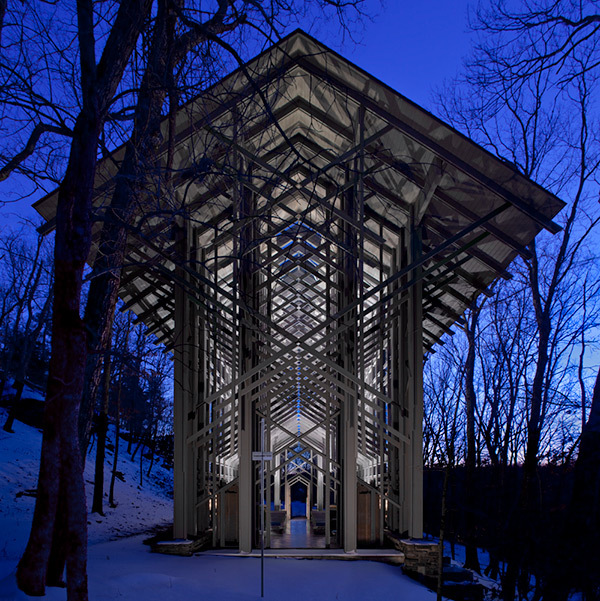 Thorncrown Chapel is Eureka Springs’ premier wedding location. Surrounded by beautiful rock formations and a canopy of trees, the chapel provides a gorgeous setting for your wedding ceremony. Because Thorncrown has 425 windows and a skylight, your wedding can be indoors in air conditioned comfort, but you will feel like you are outdoors in the midst of the Ozark woods. To see pictures of Thorncrown weddings, please visit our wedding album. You can also view our virtual tour which will give you an idea of what it is like to walk down the aisle at Thorncrown Chapel.